Choosing who will take the pictures at your wedding is one of the most important decision you will make in planning your day. 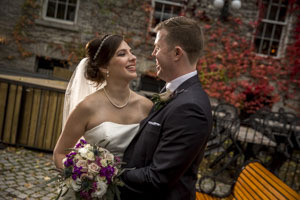 Your Mitch Lenet team of professional photographers has been named among the best wedding photographers in Ottawa and while this is an incredible honour, we strive to make sure we maintain this position with every click of our shutter. From your pre-wedding consultation, to your big day and beyond, we focus on you and your vision to ensure you get more than a collection of photographs. 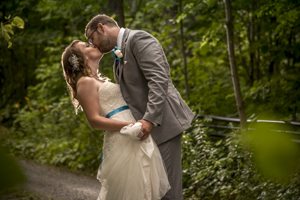 We invite you to view testimonials from some of our brides and grooms so you can learn more about how we earned the prestigious spot in the top three best wedding photographers in Ottawa. I cannot recommend Mitch Lenet and his team more! Easily a 10 star experience. We met with Mitch and the photographer who actually worked our event, Steve, about six months from the event. The meeting was so helpful to us in establishing a bond between us and Steve and for giving us the essential information we needed to prepare for the day. The personalized website set up by Mitch really helped us to plan for the day. We both come from blended families so there was a complicated family photo list, but the questionnaires made sure that we thought this out in advance and ended up with all the photos we wanted. It also helped us to make other important decisions about the day itself (like getting ready locations, timing, etc,), which was a huge help because we were so much more prepared because of it. As for the day itself, we cannot say enough good things about Steve and his assistant Alice! Sean and I clicked with Steve from our very first meeting with him. He has a similar sense of humour that we do and he understood what we were looking for right away. And boy did he deliver!!! We said our priority was family photographs and candid photos of our guests because we wanted to document the day and he captured the best of both. We have since gifted copies of the photos he took of many of our guests and some of the couples he photographed commented that he took the best photos of them since their own weddings! Everyone found the photos to be beautiful and perfect reflections of the day. There was virtually no bad photographs taken! We were so happy with the service, support and product that Mitch and his team delivered. We cannot recommend them enough! We can’t begin to say thank you enough to Steve and Alice for the amazing job they did for our wedding. I was amazed and so was my family with just how many pictures we received back, we truly felt that they captured our entire day. They were both such a joy to work with and were always professional throughout the day. I worked with Steve more myself and he was truly amazing. I always felt relaxed with him and he made the experience fun, he fit in well with my family and friends cracking jokes with us and taking some truly amazing pictures!! I feel like some of that comes across in our pictures as we don’t seem stiff. I loved that we have not only amazing pictures of us but of our guests as well. The pictures of my bridesmaids are truly stunning and I love that I have some beautiful pictures of just them. A nice touch was that during dinner they went around and took pictures of our guests. I know our guest loved this and love how those pictures turned out as well - everyone is dressed up it’s a great time to get some pictures of everyone! 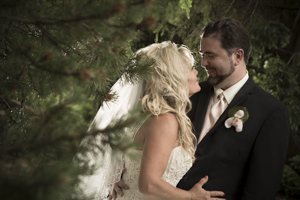 Our family and friends raved about our photographers during our wedding and after. Steve and Alice were both a joy to work with and they both took amazing pictures. We honestly only have good things to say and would recommend your team to anyone. We do not have enough good things to say about Mitch Lenet photography and particularly, our photographer, Steve. From day one Mitch and Steve answered all of my many, many questions and were quick to respond. They are also priced very, very competitively for the quality of photos they produce. We had Steve for an engagement shoot and were able to use the photos for all of our stationary. On the day of, Steve showed up like 45 minutes early out of nothing but the kindness of his heart because he knew it worked better for my schedule. He took, not only all the photos I asked for, but also some hilarious stuff that was going on in the background that I didn't even know about until later. Some of his ideas led to some of the funniest and most memorable moments of the day. 🙂 We had the absolute most fun taking photos even though it was literally a thunder storm. He was right out there with us, got soaked to the bone and did not complain even for a second. We got a sneak peak of our photos in a very reasonable time frame and they are absolutely gorgeous! Better than I anticipated. They look like those photos you always see in wedding magazines and wish yours could turn out like. Good friends of ours also used Mitch and Steve for their wedding and they also had the exact same experience as us. You will not be disappointed! Mitch is incredibly creative, has an eye for light and beauty, is professional and hard working, kind, friendly and fun to be around but above all else, Mitch is a true an artist. I knew I wanted to have Mitch Lenet Weddings shoot our wedding when I saw all of his commercial and fashion work. He's a full time photographer with a passion for his clients. His assistant shooter and assistants all share his same values. We had Ricardo as our second photog. He was so funny, easy to work with, creative and we loved having him with us for the day. He was with the guys in the morning, assisted with lighting and even hid behind a bush to backlight us to get the the perfect shot! His photos were a welcomed addition and a unique perspective to add to Mitch's work. Mitch was organized, made us create a shot list in advance so we knew exactly which photos we wanted and with which guests, it was so easy to work with him, he was focused and could make any location work but also came up with a lot of concepts in advance. He knows his stuff and his body of impressive work shows. My photos were stunning, we got a sneak peak within a week and the rest shortly after. We also did our engagement shoot with him as well. The photos are more than just portraits and capturing the moment but bring an element of fine art to them that is unparalleled in this industry. We loved working with Mitch and his team and would highly recommend them to any client who wants modern, elegant, fashion forward and beautifully lit photos. 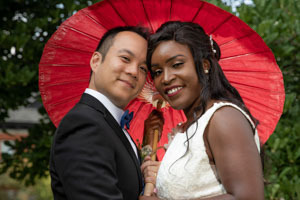 Amazing service and photos. I can't thank them enough for making our day extra special. They really went above and beyond to help us. Our time with Ricardo was extra fun and he made it really easy. Great locations, knows beautiful places and really does his best to make it extra special. 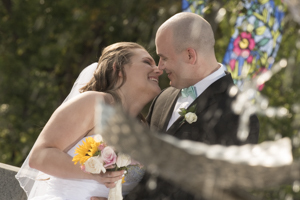 We worked with Mitch Lenet Photography twice now, and both times we were amazed by the professionalism, creativity and quality of service and photos. Steve was our photographer for the engagement photoshoot in the winter, and he was the reason why we decided to go with Mitch Lenet for our wedding. 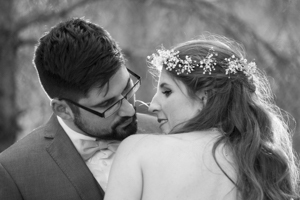 Ricardo and Jasmin were with us on the day of the wedding in September. Ricardo was with me all day, and he was so easy going and creative. Our photos turned out amazing! This was our best and favourite vendor at the wedding, and even our guests commented on how amazing the photographers were. Mitch was very organized and supportive throughout the whole process. Thank you Mitch and the team! Steve of Mitch lenet weddings photographed our wedding September 2,2017. He was honestly one of the best parts of the wedding! Everyone enjoyed his presence and he definitely kept me laughing all day. The photos came out better than I imagined, so creative and unique. 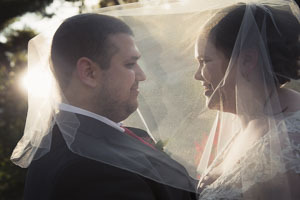 Anyone who is having a wedding need to have Mitch Lenet and his team to best capture your day. Thank you so much for your beautiful work! 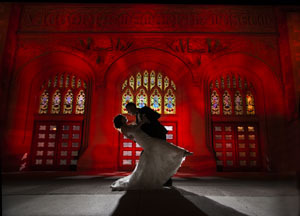 Steve and Jasmin did a fantastic job capturing our special day. The business is very well run and respond to questions as soon as they can. They provide a dedicated secure Web page to keep all your requests in order. Best of all they kept everything stress free and simple which helped very much! They were very accommodating with us and our guests for requests and taking beautiful photos of everyone. We would highly recommend them for anyone's wedding or special event! Thank you again for everything! My husband and I cannot say enough about the outstanding work by Mitch Lenet Weddings. 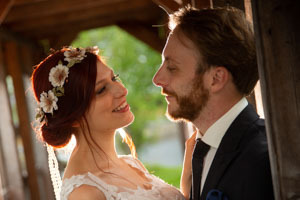 From the beginning, they were clear, organized and very professional and their final result captured our life long memories perfectly; we could not be happier! My husband and I were drawn to his photography, because of his outstanding portfolio, personal attention and original style. We trusted his judgement and ability to capture every moment of our wedding day with a classy, high-end feel; he exceeded our expectations. His price was very reasonable for the professional photographic quality that he delivered. Mitch was by far our favorite vendor and if you want to complete your perfect wedding, you will not be disappointed to have him as your photographer! He impressed us so much that I even decided to use him for all photography for my business. 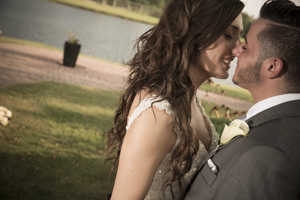 Thank you so much Mitch Lenet Weddings for capturing the love we share and our very special moments on our wedding day! We spent a lot of time tying to find the right photographer for us and we could not have been happier! Highly recommend Mitch and his team. They are great photographers who produce great photos. Thank you for your outstanding work! I have to say myself, my husband and whole family were blown away with Mitch Lenet and his team. The photos are unbelievable and I've gotten so much positive feedback from them, the way they are edited and the lighting is outstanding! The pictures are so crisp and clear. We got all of our photos back less than 3 WEEKS after our wedding! I can't say enough good things about Mitch Lenet and would HIGHLY recommend him and his team! I stressed about hiring a wedding photographer, spending hours obsessing over portfolios, reviews and websites. My husband and I met with a few photographers but we both knew Mitch and Steve were it after our initial chat. Walking out, my husband turned to me and said, “We’re hiring them, right?” I knew I didn’t have to worry anymore about the photos. Steve and second-shooter Matt did a fantastic job of covering all aspects of our day – from our early morning get-ready session right down to the late-night dance floor, they were there capturing every moment. They were both so friendly, outgoing and genuinely fun to be around. Considering a couple spends almost as much time with their photographer(s) as with each other, personality is hugely important, and these two were awesome! Mitch had our images processed and ready for pick up about four weeks after our wedding – no small feat considering we received about 1,500 images in total! He had us over for a viewing of the highlights at his home studio and seeing those pictures on the big screen and how beautifully our day was captured, I was beyond delighted. Mitch’s editing skills are amazing! He can take a beautiful photograph and, with just a few minor tweaks, create an absolutely striking image. Throughout the entire process, Mitch and Steve were available to answer questions and discuss ideas. Everyone on the team was truly a dream to work with. HIGHLY recommend Mitch Lenet! Mitch and Steve are absolute professionals, and this really shows through with how well they captured our wedding. 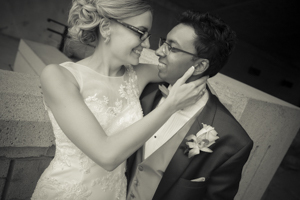 The pictures turned out beautiful - we have so many to choose from - and it was so much fun to work with you two. We would definitely recommend Mitch to anyone. From the consultation to the engagement shoot through the wedding and final review, the whole process was a breeze. Thank you, your shots will make cherishing these memories so much easier. For any Brides and Grooms looking for a photographer to deliver an outstanding product while make taking pictures fun and easy, Mitch Lenet and his associates are the ones to go with. I cannot say enough wonderful things about them. 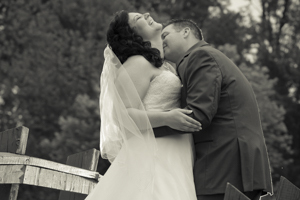 For my wife, as a Bride, Mitch made photography one thing she never had to worry about. Amazingly talented photographers! Such great people and seem to have an eye to catch the beauty in each shot. 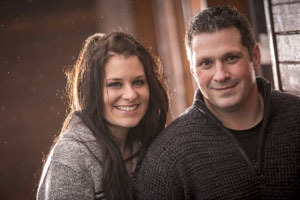 My wife and I have had the opportunity to work with Mitch for our engagement shoot and on our wedding day. From start to finish, Mitch was nothing but great to work with. We showed him a few ideas of photos that we wanted to do and he added his own twists to create exceptional photos that we didn't think were even possible. Mitch is easy going and pays attention to small details when it comes to getting the perfect shot. He also doesn't rush to make sure everything is just right. His portfolio speaks for itself showing his great knowledge of photography and his experience in different types of shoots. 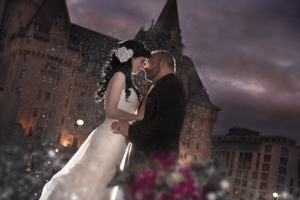 He has a wide range of surprises up his sleeve to produce all those unique dramatic shots for your special occasion and we highly recommend him as a wedding photographer in Ottawa. Mitch was the photographer for our wedding last year. He was very professional and extremely patient with our 150+ guests. His artistic view, as presented in our Wedding Memories album, will be a cherished memory for life! 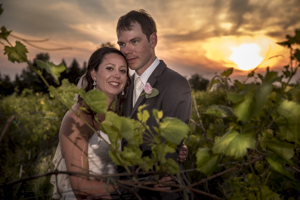 The photos taken at the Experimental Farms in Ottawa were breath-taking, and the images he designed for us were magical. 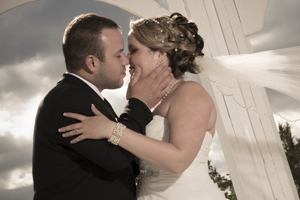 We recommend Mitch to anyone wanting lasting photographic memories of their special events! We were really impressed with the pictures that we got, they are absolutely amazing. Both the boys and the girls had a lot of fun with the photo shoots while getting ready. Mitch and Steve are really good at using the surroundings for amazing pictures. We got a lot of comments from colleagues and friends saying that these are the best wedding pictures that they have ever seen. We got far more pictures than we expected. We hired them for our wedding and we were very impressed. They were nice, attentive and they had great suggestions!! The pictures are really amazing!!! We were very impressed with the service we got. They did their homework and scouted the location and came prepared with a ton of ideas. They were enthusiastic and fun to work with which made for more natural shots. We had a blast working with them. 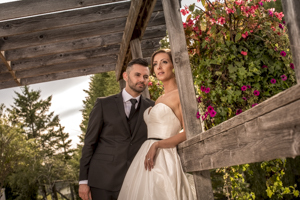 The pictures are stunning and all of our guests have been raving about them. We would highly recommend them to anyone. We received our wedding photos yesterday and I am mind blown!! 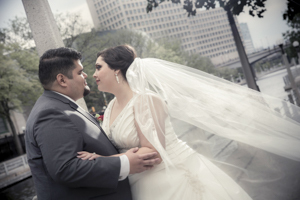 These are by far the best wedding photos we have ever seen. 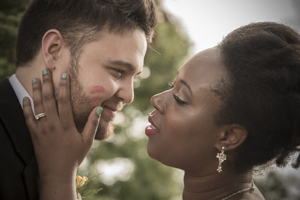 They say the photos are some of the most important parts of your wedding and we have some amazing moments captured in pictures that speak a thousand words. Lifelong memories captured beautifully and we couldnt be hapier with the outcome! We are getting some amazing feedback about our photos and i wont hesitate for a second to recommend Mitch to anyone i know getting married in fact I would be persistant that they get no one but him!! Mitch and his team were so great to work with and we are jaw dropped at the work they've done!! 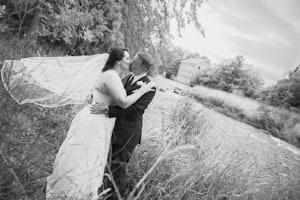 Thank you so much for making our day one we will never forget with these beautifully stunning photos! Couldn't have asked for a better photographer. We highly recommend Mitch Lenet. Our pictures are quite beautiful and the entire process was very relaxed and we felt well taken care of. Thank you for working with us! Mitch and his photography is amazing. Our wedding pictures turned out beautiful and we had so many of them to choose from. Everyone who saw them, LOVED them. The lighting, the setting and the angles were perfect. I would definitely recommend Mitch to anyone. He is professional, talented and just fun to work with. The whole process was a breeze and he really listened to what we liked and delivered. He clearly has a passion and love for photography. Thank you Mitch for the wonderful pictures and for the memories we will cherish forever. One of the best decisions we made was to have Mitch do our photography for us. Very professional and thorough, he captured the essence of our special day. He was creative, friendly and very easy to communicate with. His photographs are stunning and everyone loves them. I wouldn't hesitate to recommend Mitch! Thank you so much for everything! Mitch was amazing. He really captured every moment, and the photographs were better than we could imagine. 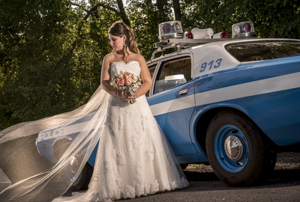 He went the extra mile just to get a pictures to come to life ( like buffing out an old car ). He's creative, very friendly and very good at his job. 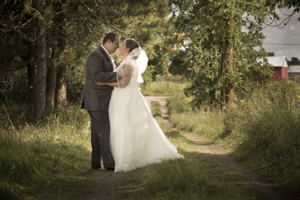 I highly recommend Mitch Lenet Wedding for anyone who wants amazing photos for your big day. Both Mitch and Steve were amazing! They were so helpful, entertaining and easy going. They got all the shots I wanted and the ones I never even thought about. It was a pleasure to have you both! Thank you! After getting married in Perth at the end of August, myself and my wife were expecting a lifetime of cherished memories from the experience and thanks to Mitch Lenet Wedding Photography we have literally hundreds of amazing photos to relive the biggest day of our lives. Mitch himself, as well as Ricardo were on hand for our wedding as part of the Perth Legion Wedding package, where Mitch's services were included and we couldn't have asked for a better experience from these guys. As a former reporter/photographer myself, their photos not only did an amazing job of telling the story of our day, but also were perfectly composed and so artfully done, that it looks like something off a gallery wall. They were both so calm and professional throughout the day capturing everyone's moments including our beautiful flower girls and ring bearers and providing countless memories photographically preserved. 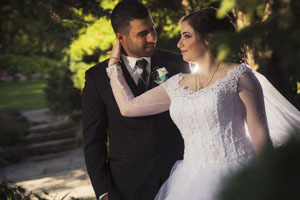 We can't say enough about the job these guys did and highly recommend their services either individually or as part of the Perth Legion Wedding package. We had an absolutely amazing wedding day, and thank you Mitch and Ricardo for preserving it for posterity. The Royal Canadian has had the incredible opportunity to work with Mitch Lenet Weddings as a service provider for our Brides and Grooms. The experience has been nothing short of amazing. From the first moment that our couples meet Mitch and his team, it is clear that their expectations will be exceeded. 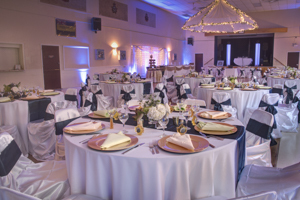 As an organization, the Perth Branch of the Royal Canadian Legion, we strive to surpass all expectations everytime and our partnership with Mitch Lenet Weddings ensures a uniform focus on making each wedding, the perfect day! 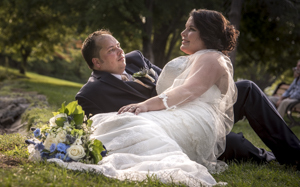 Mitch was extremely professional throughout the process of planning the photography aspect of our wedding. He was available for any questions and concerns I had, and our pictures from our special day are stunning. I would truly recommend him as a photographer, he captured our day with grace and style. Thank you Mitch for allowing us to have timeless memories. When my wife and I were searching for photographers for our wedding, we were patiently and cautiously looking around and comparing work, prices, etc. 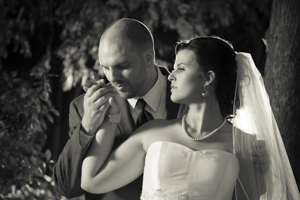 because we believe that photography is the most important aesthetic aspect of the wedding process. 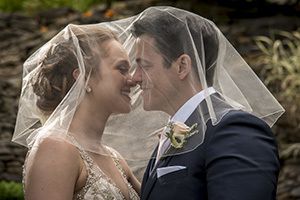 Photographs last a lifetime and because of that, you must ensure that the person in-charge of this area of your wedding is professional, personable, succinct, organized, and helpful. To say the least, Mitch, Steve and the rest of Mitch's team did an amazing job for our wedding. They were organized, punctual, friendly, and just a blast to work with - the wedding party is still talking about their work that day. Besides all of the above, Mitch has done an excellent job following up with us after our special day... he supplied us with an amazing website gallery and USB stick with all of our photos for browsing-purposes. The photos look absolutely amazing and Mitch has a wide-array of photo albums and other products that can give us a constant reminder of how amazing the day was. Lastly, one thing that I will never forget about Mitch and his team on that day is the fact that whatever could go wrong with other vendors did... except for Mitch. My wife and I did not have to stress or worry about Mitch and whether or not things would go swimmingly in regards to our photography. 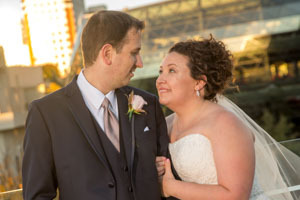 We used Mitch Lenet photography for our wedding and his partner Steve was our photographer. Steve was great. He had a since of humour which helped a lot. I think Mitch did the final treatments on the photos and they came out very well. No complaints here. Word to the wise: Do the first look (before the ceremony photos) as Mitch and Steve suggest. 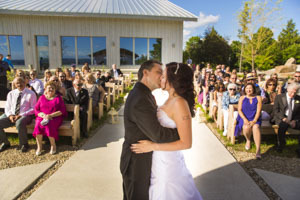 You'll get some great photos out of it and will reduce the time needed after the ceremony for photos. Steve did an amazing job on our wedding. It rained and we thought that many of the shots we wanted would not be possible...wrong!!! Even better than we expected. Mitch was quick at getting us our images and provided them very quickly.